The council took over the property company last month. A RESHUFFLE of Shetland Leasing and Property Developments Ltd’s (SLAP) board of directors has been completed after it was bought by Shetland Islands Council (SIC) in October. The council’s capital programmes manager Robert Sinclair and new finance manager Jamie Manson have been appointed as directors, with SIC lawyer Susan Brunton taking up the secretary post. 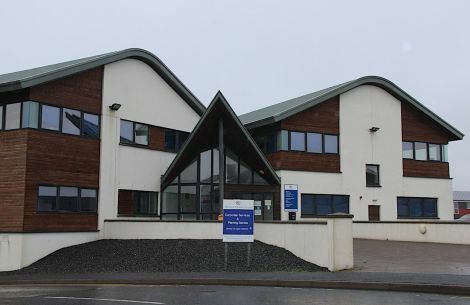 The council took ownership of a number of SLAP properties from Shetland Charitable Trust in October in a deal worth just under £17.5 million. All of SLAP’s previous directors have resigned from the company. Among the properties in the deal are the council’s headquarters at 8 North Ness, which the council leased from SLAP, and Shetland College. The move should see the council bring in extra income from leasing out properties, while it will also see its outlay on rent reduce. SIC director of corporate services Christine Ferguson said SLAP continues to trade as previously after being taken over by the council. “There is a lot of detailed work that we will be doing over the next three-four months as we begin to manage the SLAP portfolio,” she said. Is HNP not part of the community?